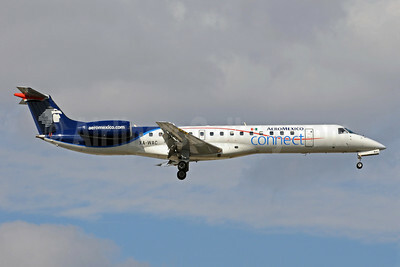 (Aerolitoral, S.A. de C.V.) (5D/SLI) (Monterrey) 2007 - Current. Photos. Framable Color Prints and Posters. Digital Sharp Images. Aviation Gifts. Slide Shows. 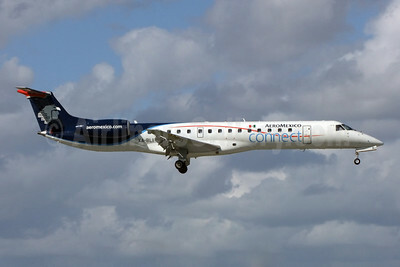 AeroMexico Connect Embraer ERJ 145LR (EMB-145LR) XA-BLI (msn 145798) MIA (Jay Selman). Image: 402211. 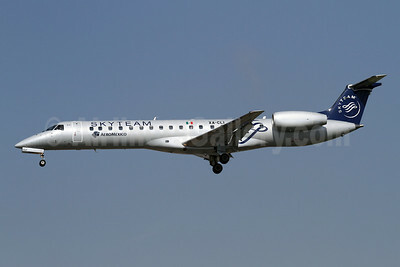 AeroMexico Connect Embraer ERJ 145LR (EMB-145LR) XA-CLI (msn 14500803) (SkyTeam) LAX (James Helbock). Image: 906495. 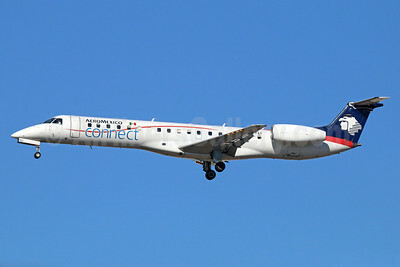 AeroMexico Connect Embraer ERJ 145LR (EMB-145LR) XA-JLI (msn 145440) LAX (Michael B. Ing). Image: 931889. 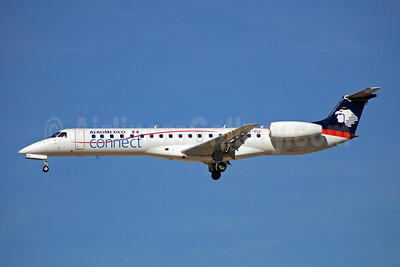 AeroMexico Connect Embraer ERJ 145LR (EMB-145LR) XA-VAC (msn 145232) LAX (Michael B. Ing). Image: 922938. 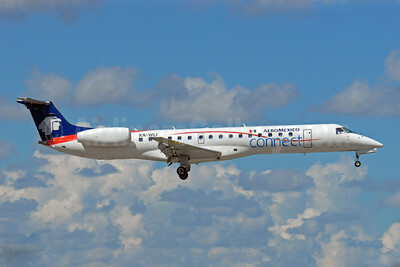 AeroMexico Connect Embraer ERJ 145LR (EMB-145LR) XA-YLI (msn 145400) LAS (Bruce Drum). Image: 100010. AeroMexico Connect Embraer ERJ 145LR (EMB-145LR) XA-YLI (msn 145400) LAX (Michael B. Ing). Image: 922939. AeroMexico Connect Embraer ERJ 145LU (EMB-145LU) XA-RLI (msn 145559) LAX (Michael B. Ing). Image: 930380. 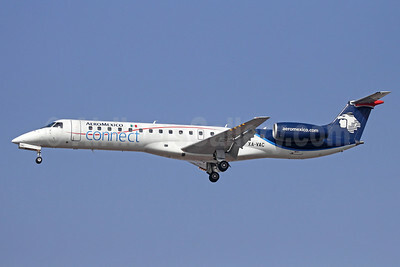 AeroMexico Connect Embraer ERJ 145LU (EMB-145LU) XA-WAC (msn 145255) MIA (Bruce Drum). Image: 101781. 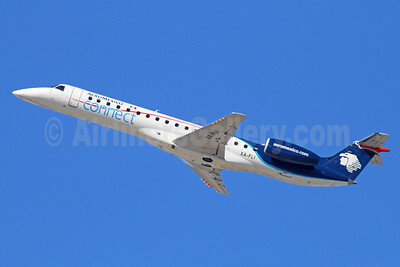 AeroMexico Connect Embraer ERJ 145LU (EMB-145LU) XA-WLI (msn 145434) MIA (Dave Campbell). Image: 903995. AeroMexico Connect Embraer ERJ 145MP (EMB-145MP) XA-FLI (msn 145203) LAX (Michael B. Ing). Image: 920029. 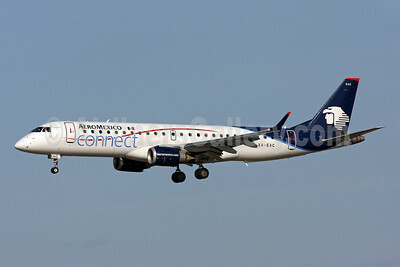 AeroMexico Connect Embraer ERJ 170-100LR XA-GAY (msn 17000087) MIA (Jay Selman). Image: 402990. 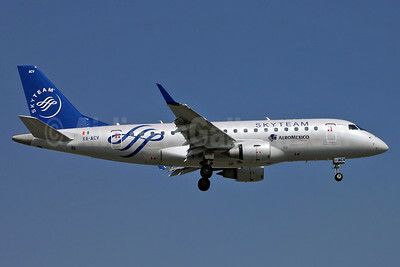 AeroMexico Connect Embraer ERJ 170-100STD 5Y-KYG (msn 17000141) SEN (Keith Burton). Image: 922940. 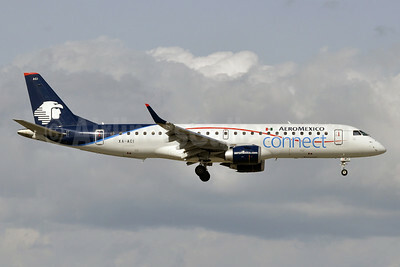 AeroMexico Connect Embraer ERJ 170-100STD ES-AEC (msn 17000107) CGN (Rainer Bexten). Image: 931887. 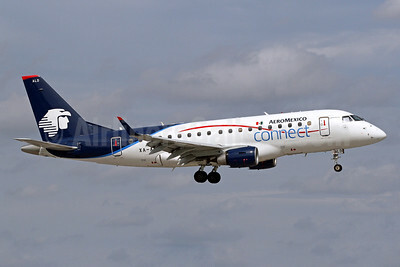 AeroMexico Connect Embraer ERJ 170-100STD XA-ALD (msn 17000025) MIA (Brian McDonough). Image: 931888. 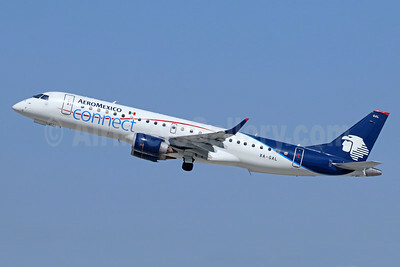 AeroMexico Connect Embraer ERJ 170-100SU XA-ACP (msn 17000019) MEX (Rurik Enriquez). Image: 924404. 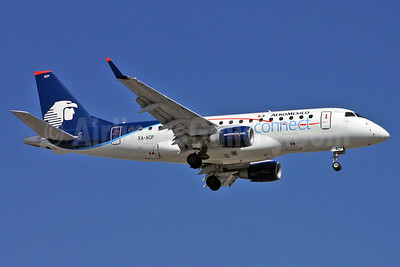 AeroMexico Connect Embraer ERJ 170-100SU XA-ACV (msn 17000046) (SkyTeam) MEX (Rurik Enriquez). Image: 924405. 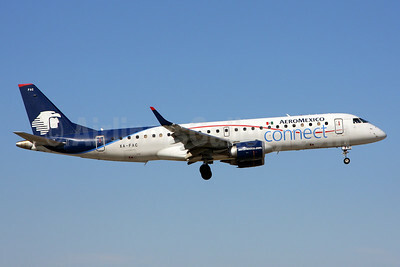 AeroMexico Connect Embraer ERJ 190-100 IGW XA-GAH (msn 19000216) LAX (Michael B. Ing). Image: 940182. 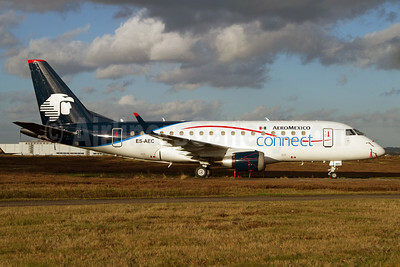 AeroMexico Connect Embraer ERJ 190-100 IGW XA-GAL (msn 19000173) LAX (Michael B. Ing). Image: 942978. 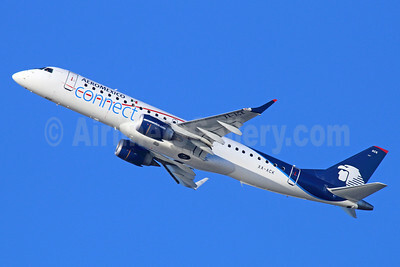 AeroMexico Connect Embraer ERJ 190-100LR XA-ACI (msn 19000525) MIA (Tony Storck). Image: 910658. 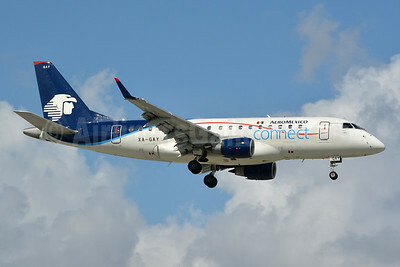 AeroMexico Connect Embraer ERJ 190-100LR XA-ACK (msn 19000538) LAX (Michael B. Ing). Image: 921372. AeroMexico Connect Embraer ERJ 190-100LR XA-EAC (msn 19000145) LAX (Michael B. Ing). Image: 925353. 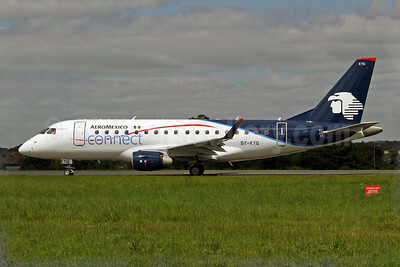 AeroMexico Connect Embraer ERJ 190-100LR XA-EAC (msn 19000145) MIA (Brian McDonough). Image: 905974. 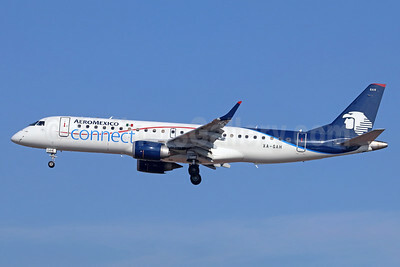 AeroMexico Connect Embraer ERJ 190-100LR XA-FAC (msn 19000234) MIA (Brian McDonough). Image: 925858.